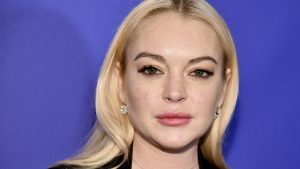 Prepare for your eyeballs to roll so far back into your head they nearly go all the way round: Lindsay Lohan has said she believes women that discuss their Me Too stories of sexual assault “look weak”. Oh dear. She also told the publication that she thinks some women reveal their stories for attention: “You have these girls who come out, who don’t even know who they are, who do it for the attention”. “That is taking away from the fact that it happened”, she continued. These admissions are hardly surprising when taking into account Lohan’s defence of disgraced producer Harvey Weinstein last year. Speaking in an Instagram video, she told followers: “I feel very bad for Harvey Weinstein right now. I don’t think it’s right what’s going on. He’s never harmed me or did anything to me”. Despite making these misguided statements, the actor was adamant about the fact that she does in fact support her fellow women. The post Lindsay Lohan thinks women who share their Me Too stories “look weak” appeared first on Marie Claire.